This unique compendium edition consits of two volumes. 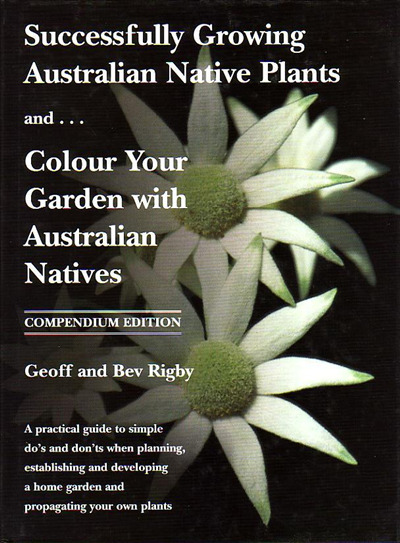 The first written by Geoff, identifies the basic requirements for planning, establishing and maintaining and developing a native garden together with simple guidelines for propagating plants. A list of simple do's and don'ts of key points is included at the end of each section. The second volume explores in detail the importance of choosing plants that can provide a range of colours in the garden, year round, through their flowers, foliage, fruits and barks.